This will surprise absolutely no one, but Yuen Woo-ping can stage the hell out of a fight. The guy is a legend for good reason. 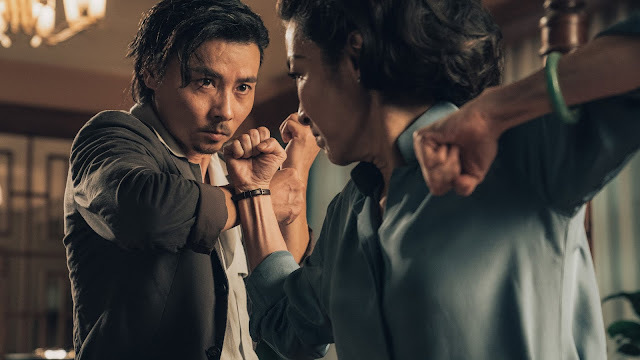 And he displays this particular skill front and center in his latest directorial effort Master Z: Ip Man Legacy, which features choreography on par with some of his best. Inventive and thrilling, it runs the gamut from incredibly technical martial arts skill to high-flying artistry that calls to mind his work on Crouching Tiger, Hidden Dragon. Technically, Master Z is a direct sequel to Ip Man 3, as it directly follows the events of that film. That said, it functions more as a spin-off, diverging from the main path to follow a side character—don’t worry, Ip Man 4 drops in a few months to continue Donnie Yen’s saga. Instead, we trace Cheung Tin-chi (Max Zhang, SPL 2). 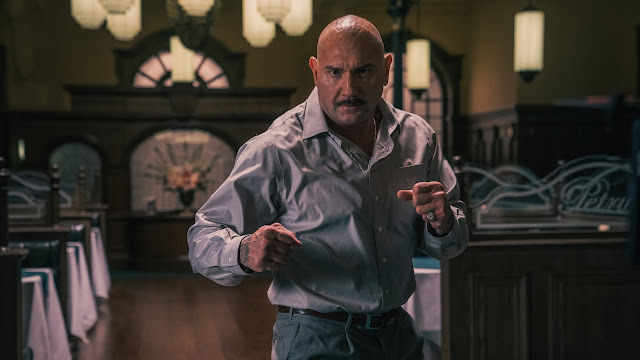 In the wake of his defeat at the hands of Ip Man, he abandons Wing Chun and just wants to keep his head down, run his small grocery store, and be a good single dad to his young son. But best intentions, right? Due to circumstances beyond his control, he finds himself drawn into an underworld of drugs, gangs, corrupt cops, and all the usual trappings of a just-when-you-think-you’re-out saga. The action is, of course, bonkers fantastic. Everyone involved is a top-notch martial artist, and in Yuen’s hands, the staging is glorious. It ranges from relatively straightforward throw downs, like Zhang tussling with a one-fingerless-glove-and-fedora-wearing Tony Jaa, to an elaborate, sprawling brawl in the home of Michelle Yeoh’s chilly crime boss Kwan, which involves dozens of goons, elaborate choreography, and multiple fights unfolding at once in different planes of view. Even a scene as simple as Kwan attempting to give Tin-chi a drink, plays out in intricate, dexterous moves and presentation. Relatively early on, after Tin-chi runs afoul of gangster Tso Sai-kit (Kevin Chang), an expansive sequence unspools as participants ascend scaffolding and Spider-Man from roof to roof, fighting on top of intricated, vintage-style neon signs of “Bar Street.” It’s balletic and breathtaking. Even outside of the fights, Master Z manages to remain tense and dramatic. At least for a while. At his core, Tin-chi is a sad, depressed man who just wants to do right by his son. But he also can’t stand back and bear witness to injustice, which is what initially gets him into trouble as he steps in to help Julia (Liu Yan), herself attempting to save her opium addict friend Nana (Chrissie Chau). 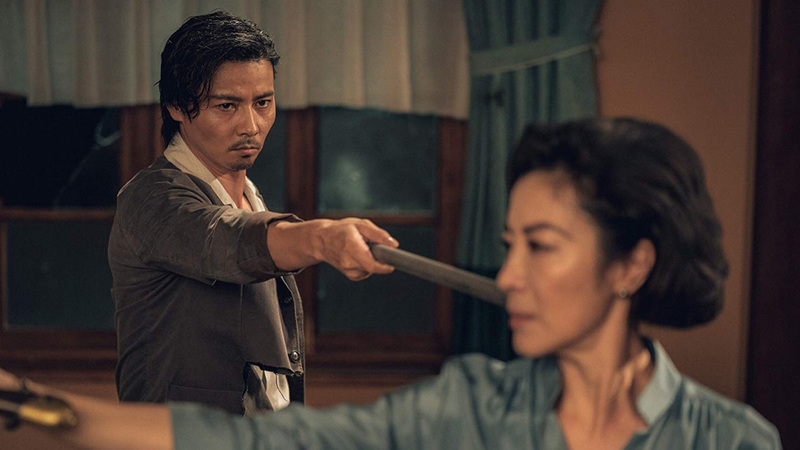 While this works initially, the plot eventually spins away from Tin-chi to focus on the intricacies of an unfurling power struggle in the criminal underworld. It’s cool because this turf war gives us a bunch of Michelle Yeoh and Dave Bautista, and some epic scuffles. But Tin-chi fades into the background for long stretches—and when he’s present, but not with his son, he mostly just broods and isn’t particularly interesting. From a narrative and emotional standpoint, the story becomes much less engrossing. At a time when the story feels like it’s about to wrap up, it tacks more onto the end. Again, this provides additional opportunities for action, so I can’t complain too much, but from a pace and flow perspective, it’s an awkward, uneven move. While primarily concerned with family and fisticuffs, Master Z touches on a few interesting themes, only to leave them unexplored. There’s an undercurrent of western imperialism as Hong Kong was under British control at the time—the white cops are corrupt and greedy, outsiders treat locals like second class citizens in their own home, and in general, everyone seeks to exploit the place and people for all they’re worth. The film presents this, and it offers an intriguing historical context, but that’s really all. In a similar fashion, there’s also an underlying feminist current throughout. It’s not exactly accurate to call this a progressive film, but in reality, the female characters have the most agency. Tin-chi rarely acts on his own accord; most of what he does is a reaction. Julia, however, actively confronts Kit and his goons to save her friend. Her brother, Fu (Xing Yu), is overbearing and thinks the women need to be sheltered. As the head of a male-dominated crime syndicate, Kwan butts heads with underlings and business associates who question her every move because she’s a woman. 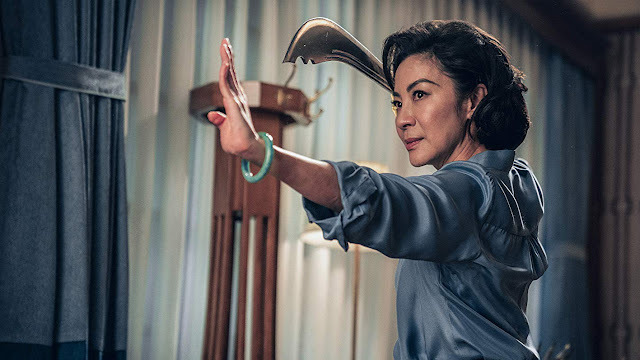 It mirrors the typically testosterone-fueled world of marital arts and action cinema—and Michelle Yeoh is incredible, as always. Then men basically bumble around yelling, acting macho, and fighting, while the women have plans and strategies and put thought into their actions. But again, while at hand, there’s not much depth or development here. 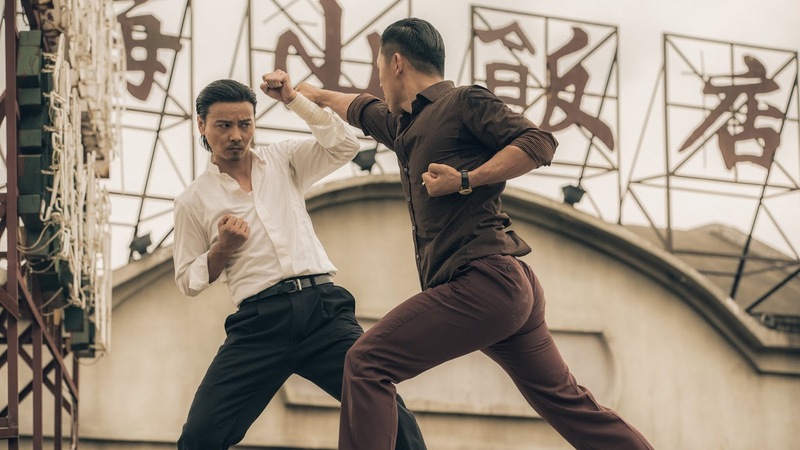 Master Z: Ip Man Legacy is a must-watch for martial arts and action fans. Yuen Woo-ping demonstrates again why he’s a master. The narrative is a bit uneven, and there are undercooked themes, but when the film allows Max Zhang to take the spotlight, he sparkles. 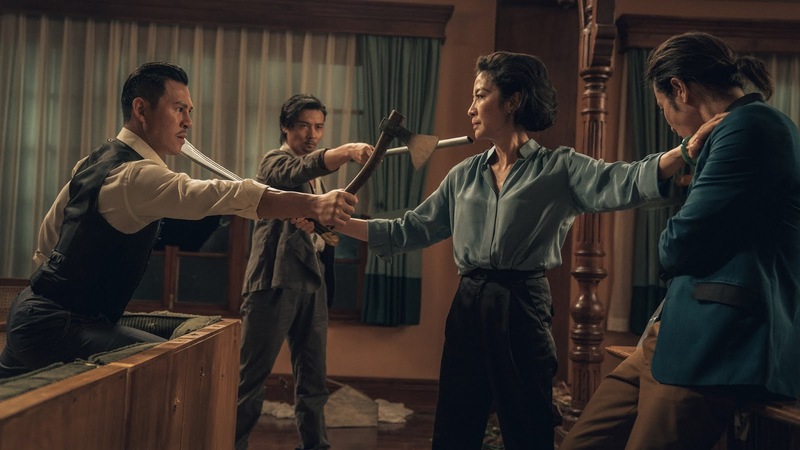 I’d watch more Tin-chi stories, and if the Ip Man franchise wants to keep spooling out spinoffs like this, that’s a shared universe I can roll with.